Click here to download from the App Store! 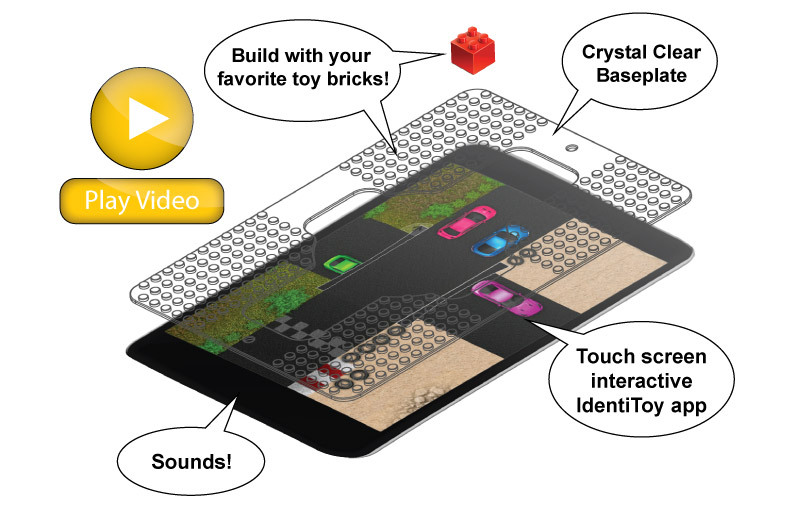 Enhance your brick building with our Mixed Reality App designed to create an exciting background for your toy brick creations. Free download with no in-app purchases! Object-to-display interaction scheme that works with any object! 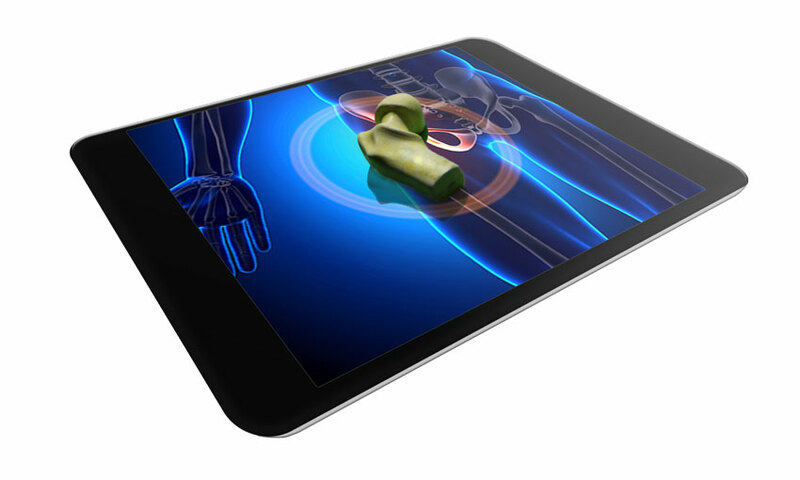 Place any IndentiToy™ Enabled Toy on a Tablet PC or other Display to begin an interactive audio-visual experience. The patent pending IdentiToy Technology automatically recognizes the position, orientation and identity of any IdentiToy enabled Toy, or Gaming Token. 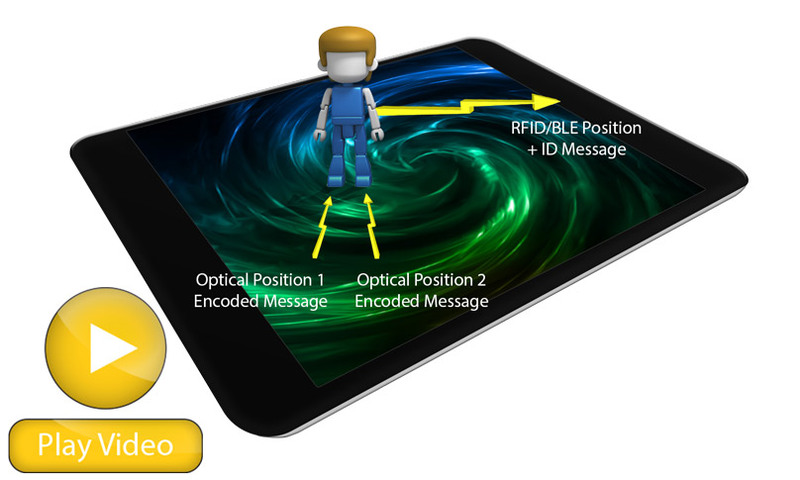 IdentiToy uses Passive battery-less RFID Technology for communication and identification, combined with an optically encoded triangulation scheme. Since the screen is used for Triangulation only, and not for identification, the method is far more versatile than existing systems that attempt to ascertain the identity of an object by computing its silhouette either by vision systems or touch sensors. Both position on the screen and orientation are computed by the IdentiToy Technology. The orientation of two toy figures or dolls facing each other on the screen can be used to create an interactive experience between the figures. 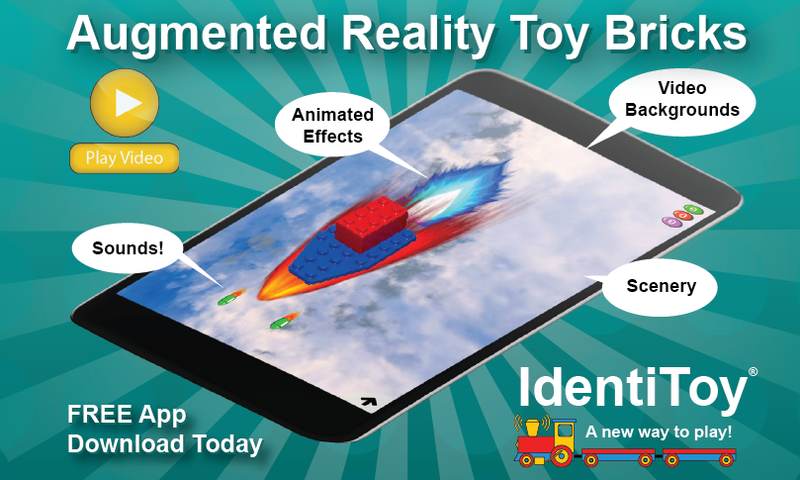 Further since the unique 128 bit RFID’s create an essentially unlimited number of unique ID’s, a single App or OS can automatically recognize and launch the correct interactive environment for each toy. IdentiToy also can be used in board games, games of skill, learning or instructed assembly. The image that shines through the building plate consists of a background image and a foreground image. The background image can be a solid color such as grey, blue, pink, or green or a texture such as asphalt, sand, or grass. Foreground images can be beach umbrellas, bushes, railroad tracks, and more. Go beyond traditional green or blue baseplates! IdentiToy - A New Way to Play! 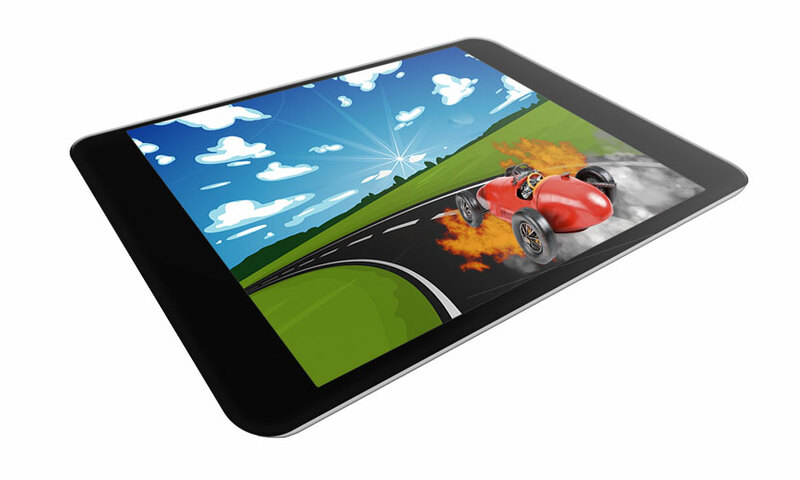 Place any IdentiToy enabled toy car on a tablet PC screen...Perhaps its a drag racer and a speed way appears on the screen exactly under the car. Perhaps its a super hero car with missile launching capabilities and missiles launch from the headlights and zoom across the screen when a button is pushed on the car. Batteries not required! - it gets power from the NFC reader antenna. No need to find and launch a specific app! – the unique ID in the Toy will launch the correct app! Add life to a toy car! Use the IdentiToy system to aid interactive learning. When a bone with an embedded RFID Tag and optical triangulation receptors are placed on a screen, instantly a skeleton appears under it in the correct orientation. Any IdentiToy enabled object can become an interactive learning tool. Mechanisms can be placed on the screen and be automatically detected and annotated. Automatically launch any board game when an IdentiToy enabled Gaming Piece is placed on the screen. 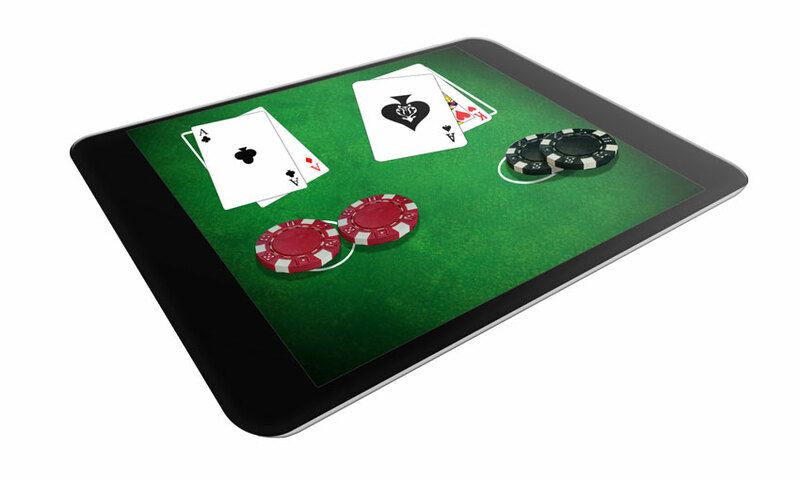 Simultaneously track the placement of multiple gaming tokens and pieces on the screen. Board games such as Snakes and Ladders can be played with enhanced interactivity. Tokens can even have the ability to move on their own, taking power from the NFC field. Play chess against the computer with real pieces which can be commanded to move by the computer - batteries not needed! Ever wondered how to assemble something? Or how it works once assembled? Perhaps its an electrical circuit; perhaps its an optical lens system; perhaps its a model airplane; perhaps its a toy brick kit; perhaps its a mechanism. Place the parts in any orientation on the screen. Let IdentiToy guide you through the assembly process, and explain how it works after its assembled. No need to find the right app, the unique identifier in the parts automatically find and launch the correct app. Any toy piece brought in proximity of an IdentiToy enabled tablet automatically launches the correct interactive play for that piece. This will become second nature to children in the future. 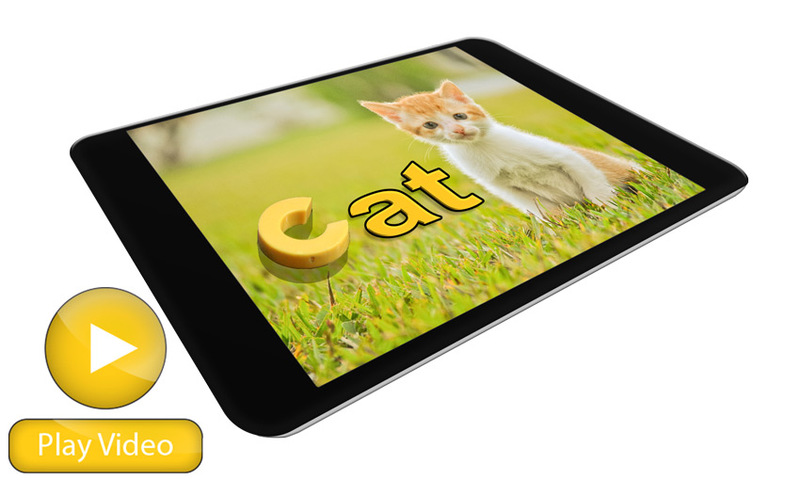 The entire power of a tablet PC can be made available to any toy with the addition of an inexpensive RFID Tag with optical sensitivity.